Stephen is a native of the bustling, exciting city of Hong Kong. Stephen was still a child when his family settled on the beautiful Gold Coast to explore exciting new opportunities for him and his siblings. By the time Stephen graduated from the Australian school education system, he had acquired a strong sense of vocation towards dentistry. 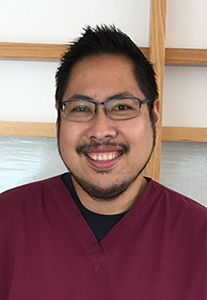 He decided to pursue further education and training in dentistry, by enrolling in the Bachelor of Dental Science program at the University of Queensland. After graduating in 2001 with honours, Stephen gained invaluable professional experience in both the private and public dental sectors. He has a strong belief in maintaining a detailed understanding of all aspects of modern dentistry. Stephen backs up his belief by regularly attending lectures and seminars held by industry experts to advance and update his dental knowledge. 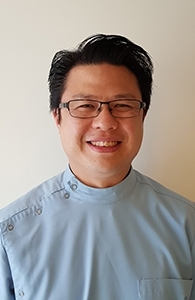 Stephen’s passion to make a difference in the Brisbane dental scene saw him connect up with Dr. Julian Mok, a like-minded professional associate and friend. Their shared vision inspired them to take the first steps to build Healthy Smile Dental from scratch into a reality. By 2004, the first Healthy Smiles Dental practice was opened. As co-founder of Healthy Smile Dental, Stephen’s mission is to create a dental practice that provides a full range of modern personalised treatment options to suit the individual dental needs of each of his patients – from babies to over 65s. Recognising the need for an all-encompassing dental practice in surrounding areas, Stephen is currently setting up our new and exciting Underwood practice. Dr Law is born in Malaysia, but moved to Dunedin, New Zealand as a child. Thirteen years later he made the move to Australia. 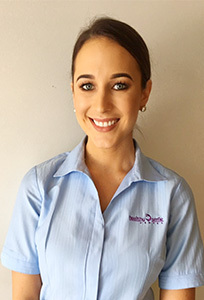 Before joining the Healthy Smile Dental team two years ago, Dr. Law practiced dentistry in Grafton NSW. Dr Brant Law is a senior dentist with over fifteen years of experience. He provides exceptional dental treatment for all his patients, and takes great pride in doing so. Dr Law has a special interest in wisdom teeth extractions, oral surgery, and crowns and bridges. He participates in continuing professional development and education to ensure he provides the highest quality dental care for his patients. Dr Law prefers the sunshine, so after thirteen years in NSW, he has decided to relocate to the Sunshine State to practise dentistry permanently. 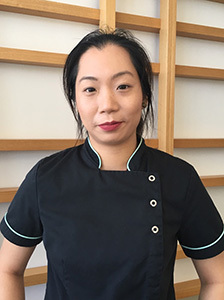 Katherine Chan grew up in Brisbane, and has practiced in primarily family practices in QLD and SA, since graduating from Griffith University in 2011. 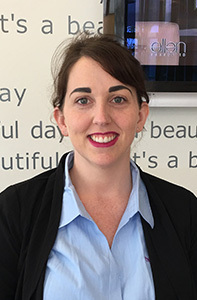 She is a general dental practitioner who pursues continuing education in Australia and overseas. 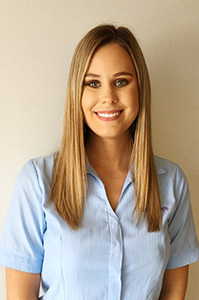 Katherine enjoys entertaining her patients with humorous stories and anecdotes, as she believes it is important that they feel safe and connected with their clinician. Many a patient has remarked on how she has been able to ensure that they felt at ease and in control of their oral health. In her free time, Katherine loves trying out new places to eat, cycling and gaming. Dr Julie Yeh was born in Taiwan, and came to Brisbane at the age of four with her family. Besides speaking English, she is also fluent in Mandarin and Taiwanese. Throughout her schooling, she studied locally. She attended the University of Queensland for her Bachelor of Dentistry degree, and graduated in 2010. 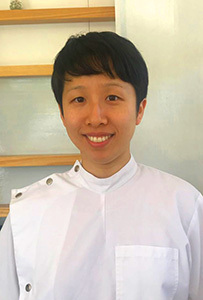 With her calm, caring and gentle nature, Dr Yeh has a special interest in treating children and anxious patients, and making them feel relaxed and comfortable in a dental environment. Outside of work, Dr Yeh studies Japanese. She loves spending time with her family, which includes her adopted fur babies. When time permits, she participates in yoga classes, plays tennis and loves travelling with her husband. Dr Julian Mok was born in Malaysia, and moved to Australia when he was 2 years old. He has been a dentist for over fifteen years since completing his studies at the University of Queensland. He has worked in both private and public sectors during this time. Dr. Mok has a passion for dentistry, and has a keen interest in all aspects of dentistry. His love of dentistry is founded on relating to and understanding his patient’ needs and wants. As a result, he has a comprehensive approach to dentistry that ensures his patients are fully informed, and understand their personalised treatment plans. Having established long relationships with his patients, Julian is currently directing at Healthy Smile Dental’s Calamvale practice. Dr. Hye-In Kim (pronounced Hey-In) was schooled in Australia, and graduated with Bachelor of Dental Science degree from the University of Queensland in 2009. Dr Kim is a native of South Korea, and is bilingual in Korean and English. 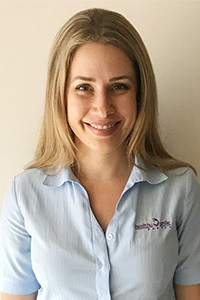 Since she graduated, Dr Kim has been a Senior Dentist in the children’s public dental system, where her experience in treating adults and children has helped her develop and consolidate her dental skills and knowledge. Years of experience in this sector have positively influenced her present-day approach to dental care and treatment for her patients. 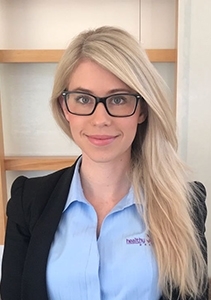 Dr Kim dental treatment methods follow current, evidence-based best practice, and she only provides the highest quality dental treatment that is customised for each of her patient’s oral health needs. Dr. Kim has been part of the Healthy Smile Dental team in Calamvale since 2012. She a great team player and she always puts her patients’ needs first. She loves the ongoing relationships she has built up over the years with local families who visit Healthy Smile Dental. Dr. Kim understands that some patients experience dental anxiety, which is why she practices compassionate and gentle dental care. 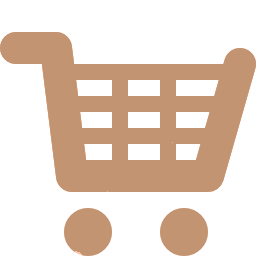 Additionally, she goes to great lengths to explain dental treatment to her patients thoroughly, so that they are fully informed about their treatment options. In her spare time, Dr Kim loves to stay fit, and enjoys socialising with her family and friends. My Khanh has a passion for dentistry, and she is dedicated to helping her patients achieve their oral health goals. Her genuine warm and caring nature fosters good dentist-patient communication which helps her to ensure and deliver the highest standard of dental treatment to her patients. Since graduating with honours from the University of Queensland, My Khanh has been a strong advocate for quality, safe and timely oral healthcare in the public dental system. She has had invaluable experience practicing dentistry for some of Queensland’s more remote communities in her role as a Senior Government Dentist. 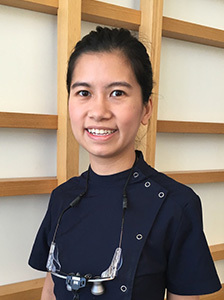 However, My Khanh has always appreciated the more personal approach to patient care taken by private dental practices, and has worked in this sector since her graduation. 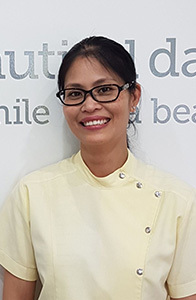 It was only natural that when her old uni colleagues, Julian and Stephen, approached her to join the Healthy Smile dental team, My Khanh welcomed the opportunity to share their vision, and establish herself more firmly in the private dental sector. Dr. Mei was born in Kuala Lumpur, Malaysia. 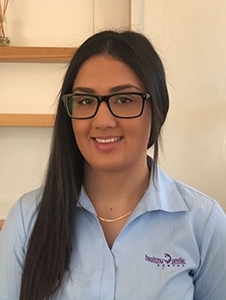 She moved to Australia at the age of 19 to pursue her passion for Dentistry at the University of Queensland and has since called Australia home. 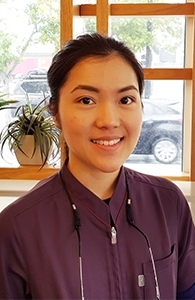 Since graduating from the University of Queensland, Mei has found her second home at Healthy Smile Dental where she developed a strong passion and enthusiasm for helping her patients achieve their oral health goals. Beyond her work at Healthy Smile, Mei also extends her care to the Queensland Health Community, where she is able look after public sector patients, particularly senior citizens. Gentle touch with a friendly smile is one of Mei’s many attributes. Although, don’t be fooled by her petite stature. Outside of work, Mei enjoys playing a variety of sports. In particular, she enjoys Volleyball and plays competitively. 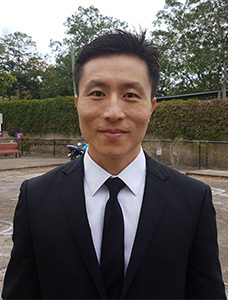 Dr Panny Hou graduated from the University of Queensland, and was awarded the David Dunlop Memorial Bursary for highest achievement in Dentistry for Children. 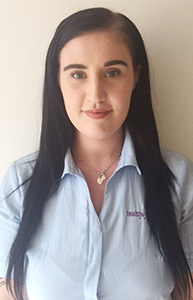 Panny enjoys all aspects of dentistry, and is committed to offering the highest standard of care to her patients whilst attending to their needs in a gentle and caring manner. Nothing is more rewarding to Panny than being able to put her anxious patients – both young and old – at ease, and helping them to achieve a healthy, happy smile. Panny is a firm believer of continuing professional development. 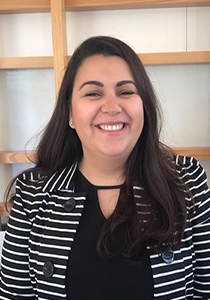 She regularly attends courses and seminars to stay up-to-date with the latest advances in dentistry, so that she is able to provide the best possible care for her patients. 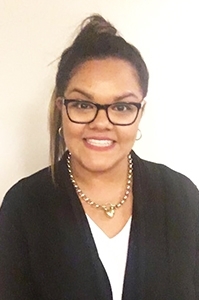 Outside of dentistry, Panny enjoys travelling, dining out and spending time with her family and friends.